1 A None No Power Seat 1 A is a standard Premium Economy class seat that may have restricted legroom due to the position of the bulkhead. 1 B None No Power Seat 1 B is a standard Premium Economy class seat that may have restricted legroom due to the position of the bulkhead. 1 D None No Power Seat 1 D is a standard Premium Economy class seat that may have restricted legroom due to the position of the bulkhead. 1 E None No Power Seat 1 E is a standard Premium Economy class seat that may have restricted legroom due to the position of the bulkhead. 1 F None No Power Seat 1 F is a standard Premium Economy class seat that may have restricted legroom due to the position of the bulkhead. 1 H None No Power Seat 1 H is a standard Premium Economy class seat that may have restricted legroom due to the position of the bulkhead. 1 J None No Power Seat 1 J is a standard Premium Economy class seat that may have restricted legroom due to the position of the bulkhead. 10 K None No Power Seat 10 K is a standard Economy class seat that is missing a window. 2 B None No Power Seat 2 B is a standard Premium Economy class seat. 2 H None No Power Seat 2 H is a standard Premium Economy class seat. 27 E None No Power Seat 27 E is a standard Economy class seat however, the proximity to the lavatory may be bothersome. 27 F None No Power Seat 27 F is a standard Economy class seat however, the proximity to the lavatory may be bothersome. 27 G None No Power Seat 27 G is a standard Economy class seat however, the proximity to the lavatory may be bothersome. 28 E None No Power Seat 28 E is a standard Economy class seat however, the proximity to the lavatory may be bothersome. 28 H None No Power Seat 28 H is a standard Economy class seat however, the proximity to the lavatory may be bothersome. 29 A None No Power Seat 29 A is a standard Economy class seat that is missing a window. This seat may have limited recline. The close proximity to the lavatory may be bothersome. 29 C None No Power Seat 29 C is a standard Economy class seat that may have limited recline. The close proximity to the lavatory may be bothersome. 29 E None No Power Seat 29 E is a standard Economy class seat however, the proximity to the lavatory may be bothersome. 29 H None No Power Seat 29 H is a standard Economy class seat that may have limited recline. The close proximity to the lavatory may be bothersome. 29 K None No Power Seat 29 K is a standard Economy class seat that is missing a window. This seat may have limited recline. The close proximity to the lavatory may be bothersome. 3 B None No Power Seat 3 B is a standard Premium Economy class seat. 3 H None No Power Seat 3 H is a standard Premium Economy class seat. 30 D None No Power Seat 30 D is a standard Economy class seat that may have limited recline. The close proximity to the lavatory may be bothersome. 30 E None No Power Seat 30 E is a standard Economy class seat that may have limited recline. The close proximity to the lavatory may be bothersome. 31 A None No Power Seat 31 A is a standard Economy class seat that has extra legroom due to the exit. 31 C None No Power Seat 31 C is a standard Economy class seat that has extra legroom due to the exit. 31 D None No Power Seat 31 D is a standard Economy class seat that may have slightly restricted legroom due to the position of the bulkhead. 31 E None No Power Seat 31 E is a standard Economy class seat that may have slightly restricted legroom due to the position of the bulkhead. 31 F None No Power Seat 31 F is a standard Economy class seat that may have slightly restricted legroom due to the position of the bulkhead. 31 G None No Power Seat 31 G is a standard Economy class seat that may have slightly restricted legroom due to the position of the bulkhead. 31 H None No Power Seat 31 H is a standard Economy class seat that has extra legroom due to the exit. 31 K None No Power Seat 31 K is a standard Economy class seat that has extra legroom due to the exit. 38 G None No Power Seat 38 G is a standard Economy class seat however, other flyers tend to bump into this seat. 4 B None No Power Seat 4 B is a standard Premium Economy class seat. 43 D None No Power Seat 43 D is a standard Economy class seat in the last row of the plane. This seat may have limited to no recline and the proximity to the lavatory and galleys may be bothersome. 43 E None No Power Seat 43 E is a standard Economy class seat in the last row of the plane. This seat may have limited to no recline and the proximity to the lavatory and galleys may be bothersome. 43 G None No Power Seat 43 G is a standard Economy class seat in the last row of the plane. This seat may have limited to no recline and the proximity to the lavatory and galleys may be bothersome. 44 A None No Power Seat 44 A is a standard Economy class seat in the last row of the plane. This seat may have limited to no recline and the proximity to the lavatory and galleys may be bothersome. 44 C None No Power Seat 44 C is a standard Economy class seat in the last row of the plane. This seat may have limited to no recline and the proximity to the lavatory and galleys may be bothersome. 44 H None No Power Seat 44 H is a standard Economy class seat in the last row of the plane. This seat may have limited to no recline and the proximity to the lavatory and galleys may be bothersome. 44 K None No Power Seat 44 K is a standard Economy class seat in the last row of the plane. This seat may have limited to no recline and the proximity to the lavatory and galleys may be bothersome. 8 D None No Power Seat 8 D is a standard Economy class seat that has extra legroom due to the exit. 8 E None No Power Seat 8 E is a standard Economy class seat that has extra legroom due to the exit. 8 F None No Power Seat 8 F is a standard Economy class seat that has extra legroom due to the exit. 8 G None No Power Seat 8 G is a standard Economy class seat that has extra legroom due to the exit. 9 H None No Power Seat 9 H is a standard Economy class seat that has extra legroom due to the exit. 9 K None No Power Seat 9 K is a standard Economy class seat that has extra legroom due to the exit. Premium passengers will receive complimentary access to a full entertainment library of 30 movies and over 50 television shows. Economy passengers still have access to a personal television, that offers 4 movies and 6 shows for free, upgrades to the full library can be purchased on-board for £4. Thomas Cook Airlines flies their version of Airbus A330-200 in a two class configuration with 49 Premium Economy seats and 273 standard Economy Class seats. Great for leg room - but the seats are as comfortable as sitting on a Church Pew for 12 hours long haul. The seats barely have any padding and are VERY uncomfortable. MAN-ANU. I wasn't expecting much from this seat but was pleasantly surprised. Situated towards the rear where the fuselage narrows, the configuration dropped to 2-3-2 which meant a slightly wider aisle. This added a general sense of spaciousness to 40K and 40H. The seat itself had more legroom than I was expecting and was comfortable enough. I even managed doze off for a while on the way back which is most unusual in an economy seat. The window on this particular aircraft was largely opaque due to condensation between the glazing which was disappointing for those of us who like to while away the hours gazing out of it. The inflight entertaining was limited unless you paid extra to access a much more comprehensive library of programmes. James Martin branded food was complimentary on this flight and was very good. Although this is an extra legroom seat, it is situated right by the main toilets. There is constant opening & closing of toilet doors, obviously, but it is like having light torture throughout the flight of 9 or 10 hours duration. Not recommended unless you are desperate for the slightly extra legroom. Also idiotic passengers think it is a though walkway from one side to the other! Very good seat. Plenty of leg room. Seat width still quite tight however. Standard seat but can end up with people bumping you and leaning on your seat as they wait for the lavatory. I'm 6' 6" and pretty big, I had a good amount of legroom, although, all the tray tables in Premium class, except for the aisle seats on the 2s on the 2-3-2, are in the armrest, so if you're big like me, they won't fully go down. The food was pretty good, the flight attendants were really nice and got a tray for me. All drinks and movies are free in Premium class, so that was good. Seat was pretty comfy, I did not get very sore at all. It is uncomfortable if the person in front reclines there seat. I'd give it a 8/10 vs my previous Transatlantic flights. Great seats to have plenty of room, you recline fully with no one behind you. For the little extra you pay it is worth the upgrade. Seat was comfy and plenty of space. Priory boarding, welcome drink, drinks, main meal, drinks, ice cream, drinks, afternoon tea. You recieve a pack containing water bottle, toothbrush etc... Full access to films etc and first off the plan. Good seat for a daytime flight, but no good for a night flight because the bulkhead prevents you from stretching out you legs. The tray table is too close to eat comfortably. The tv comes out from the seat armrest and is adjustable which is an advantage. You need to be aware the seatback tv's for these seats are not directly infront of you due the the row in front being four seats wide. We paid £35 for these seats next to eachother. Not sure why. Had to sit on a pillow the whole way back as the chairs were rock solid. Honestly think id be better sitting on the floor. Flew to Cuba Cayo Coco on the 19/08/2017 and returned 02/09/2017 on board MT2932 outbound and MT2933 inbound and sat in premium econmoy both ways and safe to say it was a fantastic experience the legroom was brillant great seat as well the inflight entertainment was amazing full of content!!! Flew to Las Vegas, asked for a window seat when we pre booked seats, there is no window next to these seats. Best seats in the PE cabin middle 3 row seats of row 7. These are used by the crew to rest on extra long haul flights. More legroom than the ohter PE seats, we were slightly further back than the row next to us. There is a little button in the arm rest that releases a reclining stool under your calf muscles like a recliner on a chair. I could not see this on the other seats. There is a USB socket for you devices. Flew Manchester - Cancun. Seats 42a/b were comfortable with good legroom (not sure why we paid £10 extra - perhaps because the aisle is wider?) but the main problem was the horrendous engine noise, particularly on take off and climb. Impossible to hear announcements or converse. Catering was ok, but a bit meagre. We diverted to Bermuda on the return flight to drop off a sick passenger. This seemed to upset the cabin staff routine - we were served "breakfast" at 1.00 am. Previous Caribbean trips have been on Virgin 747 or BA 777, and I preferred these for comfort and service. This is a premium economy seat. Trays and IFE screens are in the armrest. Good legroom when sitting upright, but limited on recline due to bulkhead and nowhere to put your feet. Seat is on a par with scheduled economy in EK or similar. Flew from manchester to tobago in jan 16 and was very pleasantly surprised with the seats and the service on board the aircraft. Seats comfortable and the entertainment was good with plenty of choice. The food was also very good so no complaints about the flight. Certainly as good as Virgin Premium and a lot cheaper ! Plenty of leg room in this seat - the most I've ever had in economy. I didn't recline my seat, so I can't comment on that. It's in a good location within the plane. Staff were friendly and efficient. Every seat has it's own entertainment screen in the back of the seat in front, but available entertainment is very limited unless you pay to upgrade. Only thing I wasn't happy about on the flight was that I had to pay for drinking water. There is no window for these seats. Seats seem to be made of concrete with 6 inches of recline and are the most uncomfortable Premium seats I have ever been in. Staff are great in Premium cabin and cannot do enough for you. Seats seem to be made of concrete with no recline and are the most uncomfortable ever. 4 Old movies to choose from unless you pay to upgrade. 2 Drinks services in an 8 hour flight. Food was edible. Very nice seat and comfy. I like this plane, been few time on, is very good, compare to old "virgin" ..
9A is sold as extra leg room ... it actually has LESS leg room. My left leg could not be straightened, and could not touch the floor because of the emergency door. Total rip off. DO NOT PURCHASE THIS SEAT unless it is for a toddler. Also, there is no seat back TV since there is no seat in front of you. You also can not store a carryon under the seat in front of you...again because the door is there. Not as much leg room as 31J due to emergency exit shute but all in all not bad at all. i am claustrophic and hate it when the seat in front of you reclines and someones head is practically in your lap. Obviously with exit seats you do not get this and because of this i always try when i can to book and pay extra for an exit seat. Very comfortable impressive plane which had been refurbished in 20?? These planes now fly direct from Manchester to LAX on a seasonal basis which is an absolute bonus. Already looking to book next trip. 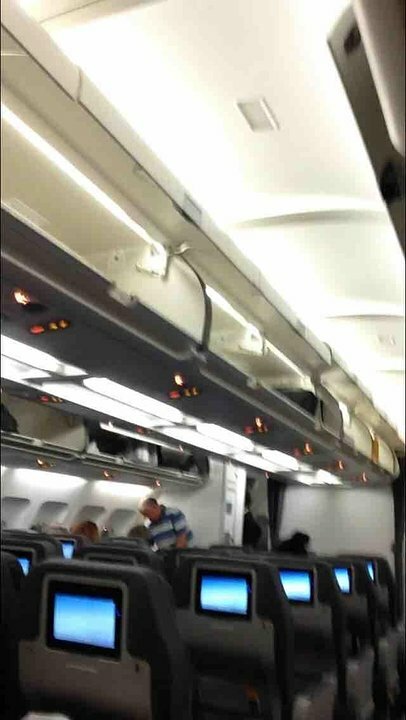 Flew from manchester to punta cana in feb 16 and was very pleasantly surprised with the seats and the service on board the aircraft. Seats comfortable and the entertainment was good with plenty of choice. The food was also very good so no complaints about the flight. Check in etc was however not good with a "glitch" in the system which meant that seats booked well in advance were not showing as being booked!! Seats 1E/F on way home also great but had sa,e problem with booked seats on way home..
Travelled to Cancun on this flight and could not fault anything,the seat space was ample and comfortable the service and food in the premiun cabin in my opinion far exceded our recient trip with Virgin in there premium cabin,the Airbus is also a very quiet aircraft when in the cruise,so to sum up Highly recomended airline and well worth the extra to fly in the premium cabin. I liked the toilets downstairs configuration as it gives plenty of circulation space. These need an electrical upgrade, as there is no USB charger and poor screens, but otherwise much better than Virgin 787 any day. Flew to Barbados, 9c on outbound. Exit seat row, plenty of legroom and space. No seat recline in Economy, but still comfortable. 5a in Premium Economy for return. Extra space, footrest and seat recline. Would recommend Premium Economy cabin for night flights as more comfortable. Excellent service on both flights, good meals, helpful cabin crew. MAN to LAS watch out for excessive engine noise (when engine boost is on) and having to have your Audio headphones on maximum volume to be able to hear what you are listening to, this could lead to hearing problems. Seats on this aircraft do not have windows and during day flying the area is dark and gloomy. It is not really possible to see out of the forward and AFT windows either. You need to use the reading light all of the time. Flight to Las Vegas was uncomfortable to say the least. Row 1 had extra legroom which was excellent but none of the seats on the aircraft reclined. For a 10+hour flight this made it painful. Everything had to be purchased inflight....headset, tv channels soft drinks, snacks. Nothing was included. Meals were ok but small. Flew on the refurbished Thomas Cook plane in October from MAN to LAS in premium economy. Seats 7H and 7K are in the last row of premium economy cabin--no one to bump your seatback. Comfortable seats, good legroom, fold-down foot rests, amenity kits, etc. Friendly service, decent meals and beverages. For the price, the premium economy is well worth it and is better than economy comfort/plus on scheduled airlines such as Delta on the MAN-ATL run. The arm rests do not lift as the table is stored here, due to this being the first row of 3 seats behind the row of 4 in the centre position. The TV's are also offset, due to the 4 - 3 row formation. I would not sit in this location again. Premium economy cabin on the newly refurbished aircraft is excellent. Flew from MAN to LAS. Good legroom and footrest. Cabin crew friendly and efficient. Good seat. Flew on this from Manchester (MAN) to Orlando (MCO). Excellent View out of the aircraft onto the wing and the engine. Good legroom in the "premium" cabin with a wider seat but the tray is far too small. The meals on the outbound flight were very good but the return was the usual American rubbish.The service was not premium quality but hopefully will improve after May when they upgrade the offering.No priority dis-embarkation at either end which is one reason for booking the premium cabin,especially to USA. totally disagree with previous comments , all the A330 aircraft have been fitted with superior entertainment system, you can watch at your leisure , start stop it when you want,the food was excellent 2 choices of meal 3 if you count the veg option, clean modern seats. I will be using them again to visit New York in June. I was on this aircraft on a TCX flight from Glasgow-Las Vegas. For a 10hour flight this aircraft is, to put it lightly, simply awful. The leg room was extremely tight, very small seat recline, poor meals and often not working IFE. Due to a unidentified approx 4" wide box beneath and to the left side of the seat infront of you there is limited sideways legroom. Limiting your orientation when you want to stretch your legs.